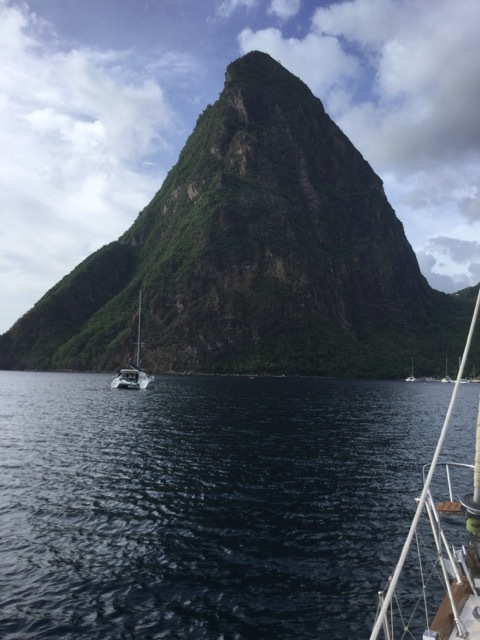 The sail to the Pitons was downwind for a big chunk of the path, then on the beam. It was nice we made it here in 4 hours as predicted, just over 4Kts. 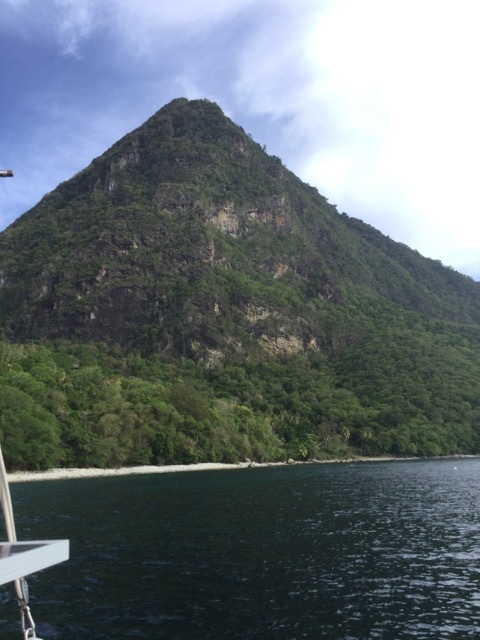 We are on a mooring right between the two Pitons (we are in the cleavage). I'll try to attach pictures to this posting. There are only 5 boats here, so it is a really quite and peaceful place. We will be here overnight only, then off to St. Vincent in the morning. What a great place to sit in the cockpit and have a glass of Rum. Have to go now, the second glass of Rum is calling :) .